Bournemouth Borough Council: Pure Town Planning have recently secured planning permission to regularise two flats in the West Cliff area of Bournemouth which had been unauthorised for the previous six years. 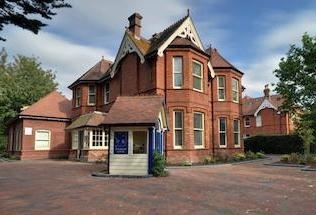 These two flats form a part of a block of nine flats formed by the extension and conversion of a Victorian villa in the West Cliff and Poole Hill Conservation Area. In a previous application permission was granted to convert the existing house into eight separate flats. While the conversion of the property was underway, it was decided that the very large ground floor flat could be comfortably be subdivided into two very reasonable sized flats. Thus, this block of flats became nine flats instead of the approved eight. Pure Town Planning were called in to regularise this situation with an application to Bournemouth Borough Council. We prepared a supporting statement, packaged up and submitted the application within a short time frame and successfully argued that due to the length that this use had been ongoing, the additional flat had not materially changed any of the external elevations from that of the approved plans and that the parking provision was sufficient to cater for this additional unit, the proposal would not cause any harm to the immediate neighbours or the conservation area. If you have any unauthorised flat units, structures or anything else that you wish to regularise, then please call us (in the strictest confidence) on – 01202 585524 and we would be delighted to assist you too.